Light is the magical ingredient that makes or break a space. 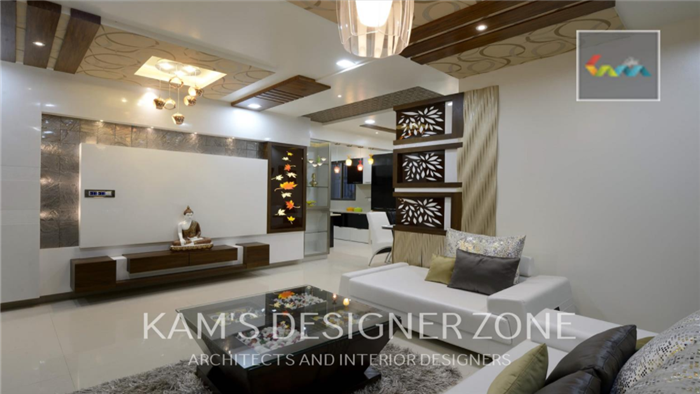 So light is one of the most important elements while doing interior designing. Light is a everything its create atmosphere, drama and intrigue in your home. It is necessary for a room’s function and have a direct reflection on your mood, health and electricity bills also! 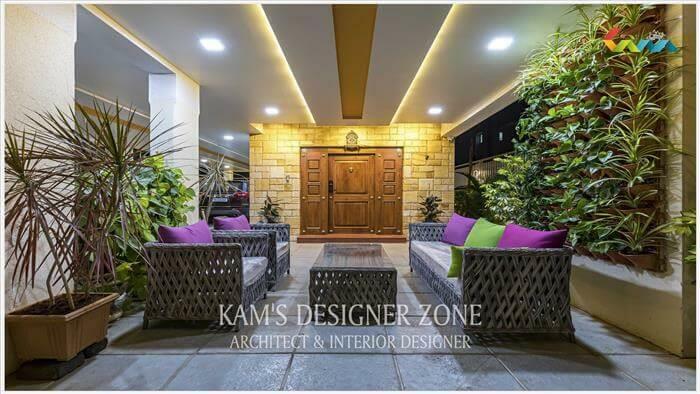 Lighting can convert your home looks more shiny or give party look. Size of space like room or home is not matter, everything is depend on how you use light in space and its can make difference in its function. Just see your home and think all the qualities of light is proper or not. 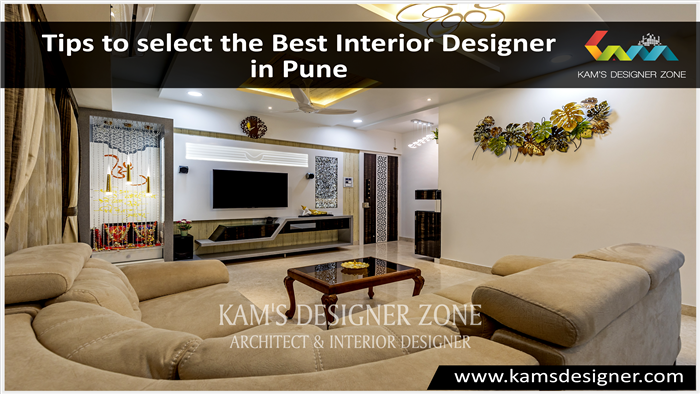 If your answer is no, then consult with Kams Designer Zone which is one of the creative interior designer in pune having a amazing and distinct ideas for doing the perfect lighting and decoration of your residence. First impression is last impression. Living room is the socialized place at your home. Here you can spend time with friends, family members. So it looks best & feel rich. Its good use of both ambient and accent lighting. So this room required various type of lighting sheds that you can use according to condition. Kitchen : Kitchen is used to spend quality time other than cooking purpose. That's why you need multiple layer of light in it. Recessed lights provides ambient lighting to both large and small size kitchens. Under cabinet lights used at cabinets, shelf etc. to provides task. 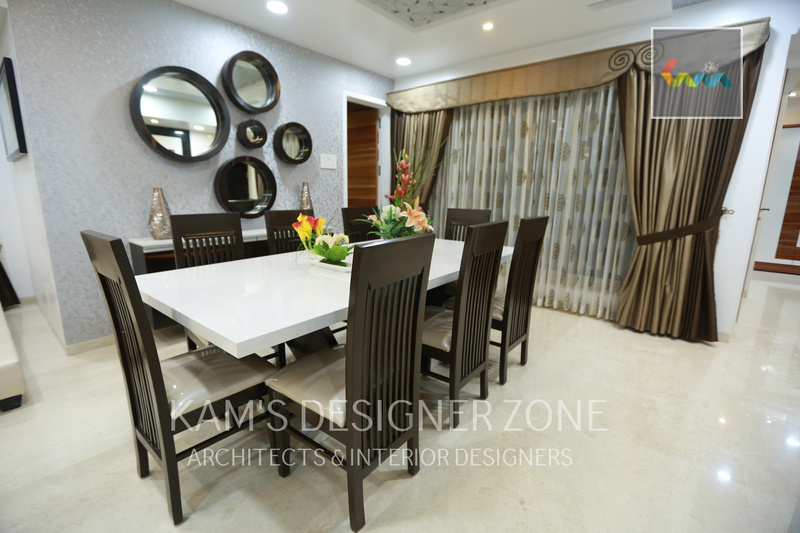 Dinning Room : This is the place where all the family member spend time with each other at the time of breakfast, meal, and dinner. In this area if you put Candles then create special & different ambience. Also use table lamps on server with wall sconces add extra effect of accent lights with ambient lighting. Bedrooms : Bedroom is the private place for everyone and here you can use romantic lights like semi-flush-mount light used to create ambient lighting. Tables lamp is the good option for bedroom. If your bedroom size is small then you prefer wall sconces for lighting. Bathroom : Wall sconces used for perform functionalities like applying make-up, shaving more easily. Bathroom Mirror must be free from shadows and glaring light. Wall sconces or pendant lights at the bathroom mirror with above vanity light create the proper combination of ambient or task lighting. 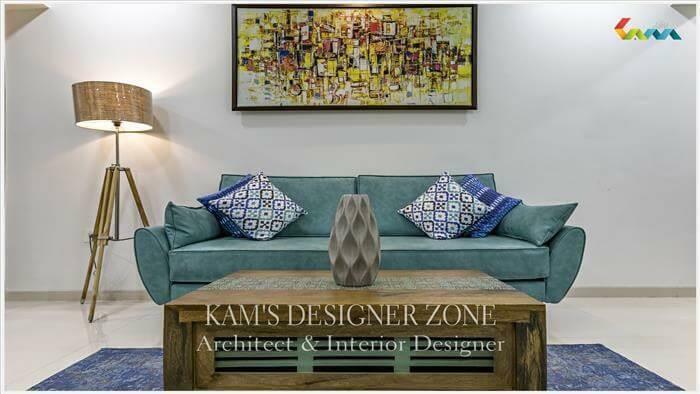 In this way if you have any doubt related proper arrangement of light at your home or any other interior designing you can consult with kams designer zone which is the best interior designer Company in Pune. .